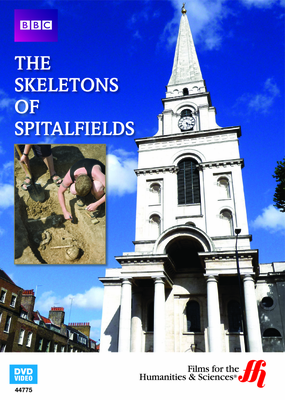 Buy this enhanced DVD of rare historical footage to learn about the controversies surrounding archeological techniques used to unearth one thousand skeletons during the 1980's at the Spitalfields site in London. The BBC created this documentary in 1989 to show how archeologists investigated the discovery of over one thousand skeletons found in the Spitalfields in London. During this period, archeological exploration did not benefit from modern testing methods, such as those, which use sophisticated DNA analysis. This meant the archeologists of those times had to rely on other methods. Any study of archeology shows the methods of dating discoveries have changed dramatically over time towards increased sophistication. Contamination problems, as well as other inaccuracies of the dating methods used during this timeframe, are the subject of this video. Even without modern accuracy, the bones of Spitalfields tell an amazing story about the lives and the culture of the people of their times. However, the story behind-the-scenes of the archeological dig is just as interesting. It concerns the controversies surrounding the problems to determine proper dating and the impact on the local development efforts during the time when the archeological dig was underway. How long are acceptable delays to modern society reconstruction projects, when compared to unearthing important historical information? Are archeological sites sacrosanct, to be left for decades undisturbed and stop all modern progress? Who has the right to stop development of a new construction project just to dig up some old bones? This amazing enhanced DVD of rare video footage from about twenty-five years ago is of interest to modern archeologists, archeology students, and any person who wants to understand how the techniques of archeological exploration have continued to improve as we explore the history of the past.